Becoming a supplier of solutions, not just products and services, requires knowledge, training and leading edge equipment. These conditions have allowed us to work in close collaboration with numerous engineering firms in developing filtering processes and equipment in highly complex projects and in changing environments. 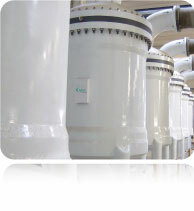 40 years’ experience in designing and manufacturing new equipment and innovative solutions has enabled our participation in desalination, treatment and potabilisation projects for agricultural and human use as well as in projects for food industry water treatment, power generation and, generally, all process water treatments for industry. 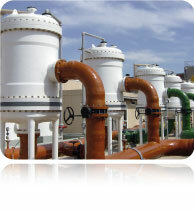 Engineering that can develop any solution required for incorporation in the filtering process. Wide experience in all types of geographical and climatic environments and activity sectors that allows us to provide the most suitable solution for each case. A knowledge of the reality of the filtering world makes Fluytec an organisation designed and conceived to contribute to improving its proposals, making it an essential collaborator beyond a simple supplier of equipment. Fluytec at MENA Desalination Projects Forum. Thanks!